The Mattawang Golf Club of today is very true to its original layout. As was typical of course design for private clubs in the 1950’s and early 60’s, the idea was to create a challenging venue, in a natural setting, with a premium placed on shot-making skills. The course plays to 6805 yards from the back tees, so it has plenty of length. Although often appearing wide and open, the fairways are actually quite tight and golfers quickly discover that the trees which line many of the fairways have been thoughtfully placed to penalize errant shots. 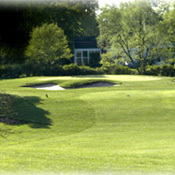 Typical of the design philosophy of the era, most of the greens are small and protected by sand traps. They have rightfully gained a reputation over the past few years as being among the best maintained putting surfaces in the state. Golfers must hit both their tee and approach shots accurately or pay the price.